In Las Vegas, Nevada, drivers are required to call the police if they are involved in a collision, even if the damage appears to be minor. Because property damage and bodily injury may not be immediately evident after an accident, it's important to file a police report or a traffic accident report with the DMV. Additionally, filing a report is an essential part of settling a claim, and the actions that a driver takes following a car collision can make all the difference in ensuring quick and fair compensation from the insurer. If a driver is involved in a collision, then they are required to exchange certain information with the other driver or drivers involved. Information that should be exchanged includes contact information, driver's license numbers, the name of their auto insurance companies and their policy numbers, and their license plate numbers. If there are witnesses of the collision present, then their contact information should be gathered as well in case they need to testify in court. 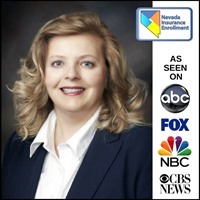 Once information has been exchanged, Nevada state law requires that the local police are called to conduct an investigation of the incident and draft a report. During the course of the investigation, the police officer will determine if any of the drivers involved in the accident are intoxicated or otherwise impaired. If the collision resulted from the violation of any laws, then a citation may be issued. In most cases, the local police will respond to the incident; however, if damages are very minor, they may not dispatch an officer. In this event, if damages may amount to $750 or more, the drivers involved will need to file an accident report with DMV with 10 days of the accident. Even if damages appear to be minor, a report should be filed with the DMV. Back or neck pain resulting from the accident may not be evident until days following the collision, and property damage may cost more than expected. 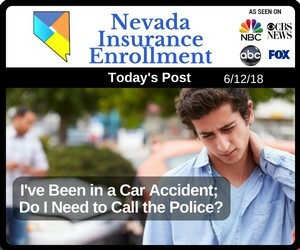 An auto insurance agent will use the information gathered in a police report or the DMV's traffic accident report to understand the extent of the damage and who is at fault for the collision. This will ensure that a claim is filed efficiently and fairly and that fault is assigned to the correct party, helping everyone involved in the collision to recover quickly. In the event of an accident, it's critical for drivers to ensure that they file reports with the proper authorities. Their auto insurance agents can guide them through the process of filing and settling a claim.